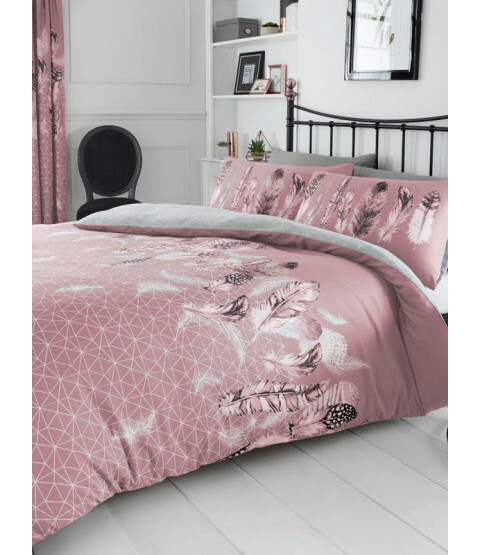 This Geometric Feathers single duvet cover set will add a stylish finishing touch to any bedroom. 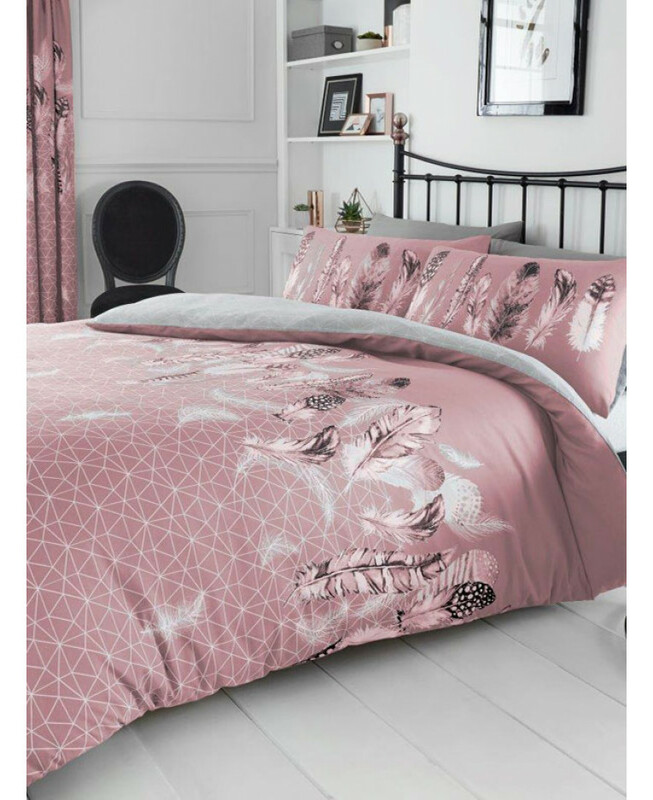 The reversible duvet cover features a geometric design of different size triangles in white on a dusky pink background, with a pretty pink, white and dark grey feather pattern across the top and drifting white feathers over the duvet cover. The reverse has a coordinating grey and white geometric design. This bedding set is made from a polycotton blend and can be machine washed and tumble dried on a cool setting.